Bob Cabral, fourth generation grape grower and winemaker, crafted an enticingly elegant Chardonnay. 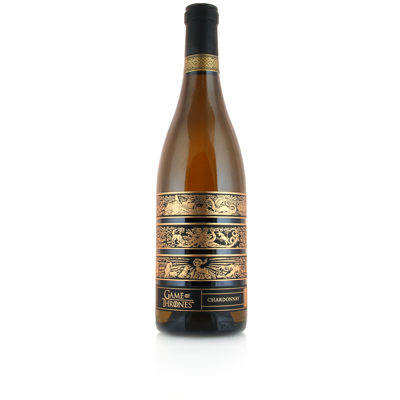 This Game of Thrones wine is made up of mostly Chardonnay and a touch of Riesling grapes from the Central Coast of California. On the nose, you will find that stone fruit and white flowers encompass your senses. At first sip, the wine is creamy and rich but as you forge forward, it's filled with refreshing, mouth-water citrus flavors. The finish is powerful with just a trace of oak that lingers on the palate. A fair, yet determined wine made for a Khaleesi.